Golfsmith - first opened its doors in 1967, and has grown to become the worldwide leader of all major golf brands and equipment. Our record of accomplishment and unsurpassed commitment to customer service continues to make us the best, most dependable supplier of golf equipment in the world. Affiliates earn 3% commission on all items...with such a comprehensive selection there is something for everyone! HolabirdSports.com - Join the Holabird Sports affiliate program and promote the undisputed leader for all running, racquet sport equipment, and athletic footwear. Holabird stocks all major brands and discounts up to 50% on over 3000 products from running, tennis, basketball, cross-training, aerobic and walking shoes to tennis, squash and racquetball equipment. Earn 5% commission on sales. Hoobam - is a Lifestyle website, adding new products regularly from existing and new suppliers. We are passionate about golf, football, fitness and lifestyle products and bring great ideas to our customers to help them enjoy their leisure. Whether it is football training or gym work, walking the course or relaxing at home with a scented candle jar, we've got them covered! We supply a number of leading brands such as Sun Mountain, WoodWick, ProQuip, Village Candle and SuperStroke, and our average order value is £46. We offer our UK customers Free Delivery and 30 day returns an all items. Our website is run on Magento and is fully responsive, so it's great for the mobile/tablet shopper as well as those who purchase through their PC's. We have a fully integrated stock control system, ensuring all orders are delivered in a timely manner. All Major Cards are accepted as well as PayPal, and PayPal Checkout is fully integrated into Shopping Cart. We are constantly reviewing our site, looking for ways to improve our conversion rates and increase our order values, by implementing the latest methods and technologies. Earn 6% commission on sales. The-House.com - is the premier online boardshop. You will not find a better place to get the hook up on snowboards, boots, bindings, skateboards, wind surfing gear, wakeboarding, skate shoes, clothing, and accessories. The House has hundreds of thousands of products in over 80,000 square feet of warehouse space and are ready to ship within 24 hours. Every employee rides what we sell so we know its the best! By joining the-house.com affiliate program, your website will be associated with the most recognizable and respected name in the board industry. Earn 10% commission on sales. IceJerseys.com - is the premier online source for the most complete selection of current and nostalgic NHL hockey jerseys and apparel. Visitors can purchase authentic pro, replica and youth jerseys for all 30 NHL teams and customize with authentic pro stitched lettering. IceJerseys.com makes the perfect complement to any hockey or sports related website. Earn a minimum 6% commission on any purchase they make - with the average purchase being over $100. Top performers can earn as much as 12% commission. IGolf.to - are a networking company for golfers looking to find new Friends, Partners and Business Associates. If you are a Golfing enthusiast then you could earn a nice silent income through this programme. The sort of people and organisation that would benefit from promoting this programme are Golf Professionals, Golf Clubs, Golf Magazines, News Groups and Ezines, Golf Enthusiasts and hobbyists, Golf Manufacturers, Golf Promoters, Golf Stores, and anyone who simply loves the game! The Fees are: Basic Member - Free, Intermediate Member $95/year, Business Member - $195/year. The affiliate programme currently consists of a 20% commission on registration fees charged and for the life time of the customer. 5% 2nd tier earnings on the affiliate you recommend as well as 2.5% on 3rd tier referrals. Indo Board Balance Trainer - Indo Board Balance Trainers are the leading balance training devices for those that want to improve balance, build core strength, improve fitness or rehabilitate and prevent injuries. 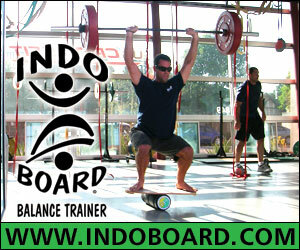 Indo Board products have been the most recognizable and respected brand of balance training devices for over 10 years. Affiliates receive a 10% commission on all sales. Indo Board want to align themselves with sites that are innovate, inform and inspire and that cater to sports, health and fitness. Keller Sports.com GBR - is a leader in European online sports, specializing in tennis and running equipment. The website www.keller-sports.com is one of the most visited website in its sector in Europe and experiences continuous development. keller-sports.com consists of two specialty shops who share its valuable URL: keller-tennis.com and keller-running.com (http://www.keller-sports.com/tennis and http://www.keller-sports.com/running, respectively). Since 2005, keller-tennis.com has offered Europe the best tennis brands: Nike, Adidas, Wilson, Head, Dunlop, Babolat, and others—with new collections added on a regular basis. Expanding on the success of keller-tennis.com, keller-running.com enters the European running market in April 2011. keller-running.com offers you the best brands in running: Adidas, Nike, Brooks, Mizuno, Saucony, Nathan, and many more. Likewise, our Running Shop guarantees the high quality standards, competitive pricing, and top-notch customer care our customers have already come to expect. We deliver in the entire European Union only! The main targets for our .com shop come from Spain, Italy, Scandinavia, Greece, Denmark, Romania and of course the UK/Ireland, as the shop is in English. Earn 6% commission on sales. Kitbag - offer the largest selection of sports and fitness merchandise, National & International replica football and rugby shirts, souvenirs and videos at competitive prices to a global audience, with high levels of customer care. Kitbag have teamed up with a number of official suppliers to the worlds top sports teams to bring you a wide range of merchandise from around the world. The number of clubs and the range of products they supply is continually expanding to bring customers the most comprehensive range available on the web today. Nike, Reebok, Adidas, Umbro, Mitre, Puma and cotton Traders are amongst the brands Kitbag supply. With next day UK delivery on most items and supply to worldwide destinations, shopping on the web could not be easier. Earn 7% commission on sales. Lacrosse.com - has everything for the lacrosse enthusiast: tons of lacrosse equipment and lacrosse apparel, including lacrosse sticks & shafts, lacrosse gloves, lacrosse gear, lacrosse helmets, lacrosse heads, lacrosse pads and more. Great Atlantic's Lacrosse.com is convenient, accessible, and features an exhaustive selection of merchandise. Sign up for the Lacrosse.com affiliate program and earn great commissions on all things Lacrosse from brands like addidas, Brine, Cascade, Fit 2 Win, Gait, Maverik, Nike, Reebok, Shock Doctor, STX, Under Armour, Warrior, and more! Lacrosse.com affiliates earn 8% per sale, and are paid monthly by check when commissions reach $50 or more. Lacrosse Monkey - is the best source for top quality lacrosse equipment for both the indoor and outdoor lacrosse game. Customers can find lacrosse sticks, protective gear, helmets, goalie equipment, lacrosse cleats & shoes, lacrosse gear, bags, and accessories at amazing prices! LacrosseMonkey.com has LAX gear from top brands like: Warrior, Brine, deBeer, Gait, STX, Reebok, Maverik, Cascade, Shock Doctor, Zoom Bang, and more! Affiliates earn great commissions on lacrosse sports equipment - sign up for the LacrosseMonkey.com affiliate program, today! LacrosseMonkey.com affiliates earn 6% per sale. LeftLane Sports - began in 2009 with a vision to give our friends access to industry insider pricing on the world’s best sporting goods products. After spending years in the sporting goods industry getting deep discounts, we decided that we shouldn't be the only ones! So, we developed our concept and launched as the first "Private Sale" website for sporting goods. We now team up with leading Outdoor and Fitness brands to deliver exclusive members-only prices (with savings up to 70% OFF retail) on footwear, apparel, and gear! LeftLane Sports holds 72 hour "flash sale" events that encourage consumers to buy quickly and buy early, leading to a conversion rate that is 5x the industry average. Earn 10% commission on sales. For Total Sales Amount equal to or greater than $500.00 USD increase commission to 10.50% per action. For Total Sales Amount equal to or greater than $1,000.00 USD increase commission to 12.00% per action. For Total Sales Amount equal to or greater than $2,500.00 USD increase commission to 13.00% per action. M & M Sports Ltd - M & M Sports Ltd is the UK’s No. 1 for all your sports and leisure needs. They buy direct from all the major brands and sell at a discount. All M&M Sports product is genuine and authentic. Earn 3% commission on all sales. Mental Game of Golf - Does your inner game receive the same attention as your outer game? Have you developed it to the point where you have habituated mental toughness and focus? Whether you're a high or low handicapper or scratch you will only truly play to your full potential when you harness and direct the power of your mind. Internet Marketing. While almost every golfer in the world agrees that the mental game is arguably the most important, less than 1 in a thousand actually use their mind properly to play better golf. It's time to move your inner game from mystery to mastery, don't you think? Develop your mental game and prepare to play the best golf of your life... Earn 50% commission on sales. Nashbar - Since 1973 cyclists have been shopping with Nashbar for the largest assortment of cycling products at the best prices. Founded in northeast Ohio, Nashbar is the online destination for the best deals in cycling. We search the world for the best values on quality cycling closeouts, overstocks, discontinued items, exclusive items, and current in-line merchandise in order to deliver the best deals on the planet. Plus, our in-house product development team produces even more great cycling gear under the Nashbar brand name at prices that you won't find anywhere else. If you love cycling, then you're going to love Nashbar! By partnering with Nashbar.com, you'll receive at least 3% commission of all final sales; you'll have access to our complete product datafeed; and, you'll be the first to hear about special promotions like the newest coupon codes, shipping discounts, even seasonal sales. Ninja EDC - Anti-theft Backpacks, Keychain Survival Tools, Solar Flashlights, Alarms. Ninja EDC offers everyday carry uniquely handy and useful tools, accessories, wallets, backpacks and bags that have exceptional quality and unique features: Anti-theft and multi-purpose backpacks; Carbon fiber and phone charger wallets; Survival tools and Self defense alarms; Solar powered flashlights with rescue tools; Even Bulletproof backpack panels! Earn 8% commission on sales. NtexpressMall - where you will find thousands of products offered at incredible wholesale prices. A quick look around our site will reveal our massive range of first-rate goods, be they electronics, tailored clothing, or sports equipment, but who are NtexpressMall? NtexpressMall has been a worldwide business leader in selling blue-ribbon consumer goods since 2010. From the moment we founded NtexpressMall, our vision was to empower people worldwide in buying and selling online. 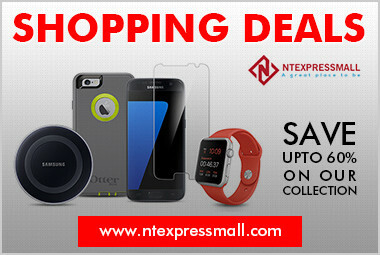 Whoever you are, and wherever you are, NtexpressMall offers the same price to all: the lowest possible. Whether you’re a wholesaler looking to increase revenues, a retailer who refuses to pay the high prices in your country, or a shopper looking to get hold of the latest products, NtexpressMall provides light-speed service and wholesale prices. We buy direct from an ever expanding network of Chinese wholesale manufacturers so we can keep costs low while maintaining the highest of standards. We serve customers from over 50 countries, and we're still growing. But our vision won’t change: One world, one price. Earn 8% commission on sales.